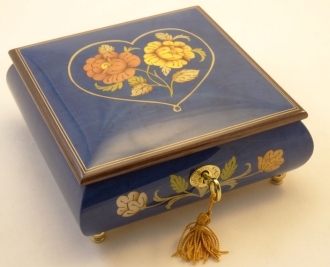 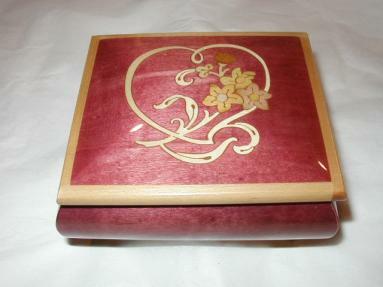 Beautiful Sorrento hand made music box with a heart inlay. 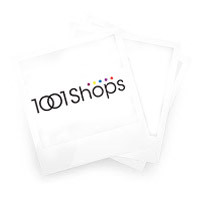 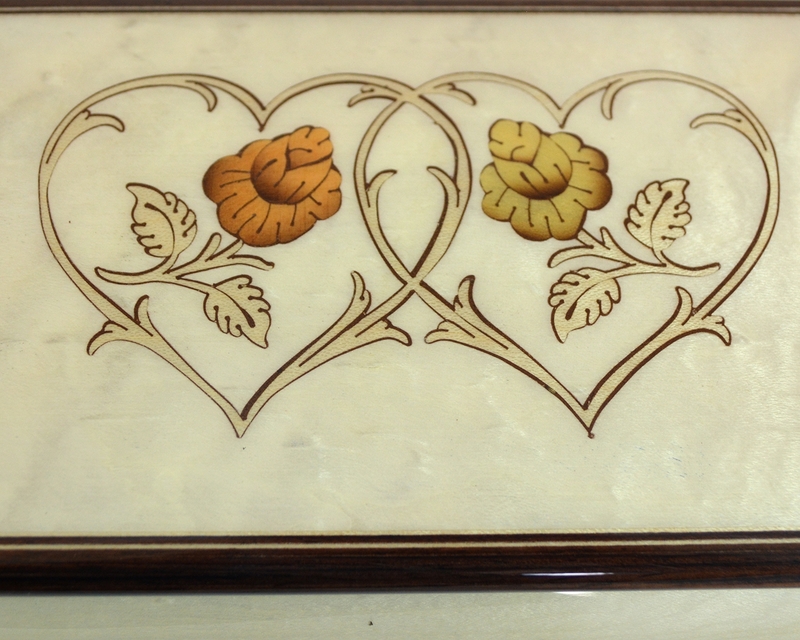 High gloss light creme finish. 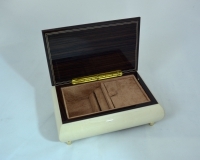 Deluxe lined within the inside with gorgeous blue velvet material. 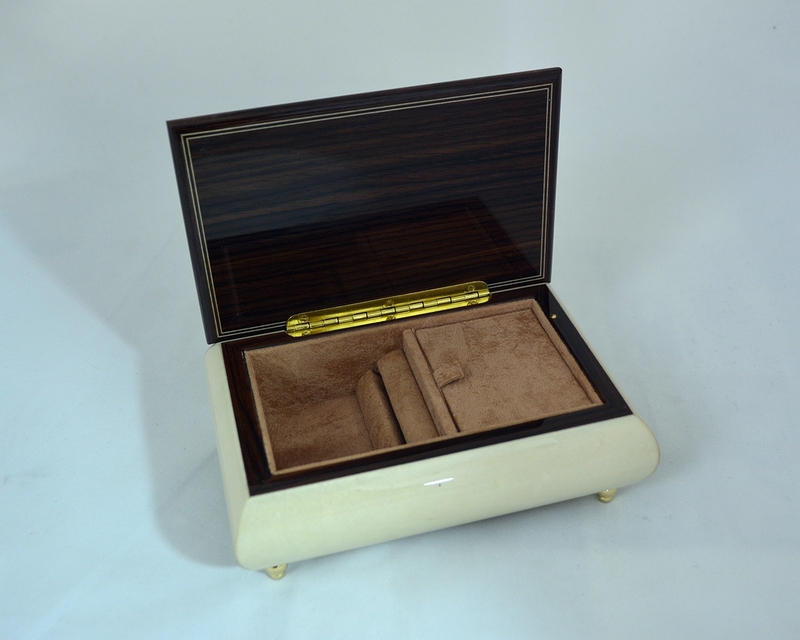 Small jewelry compartment (ring section). 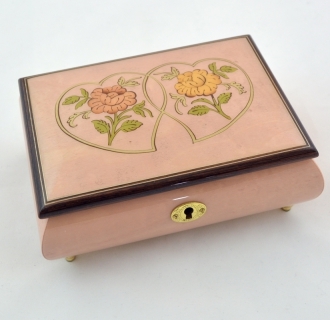 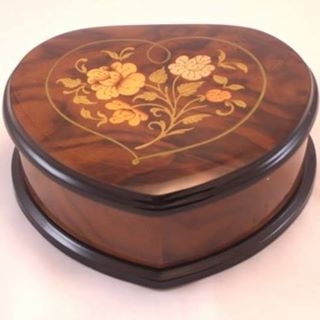 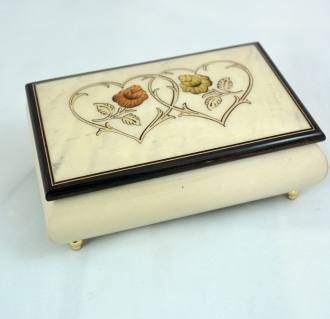 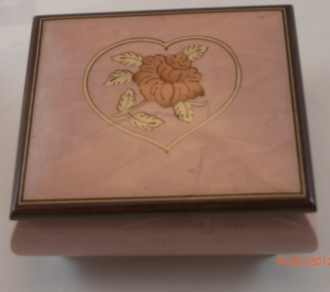 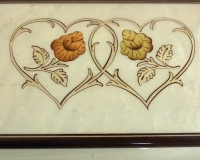 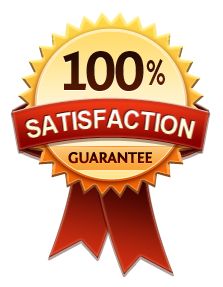 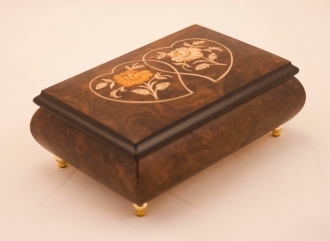 This beautiful box is made of high grade hardwood, colored in creme color. 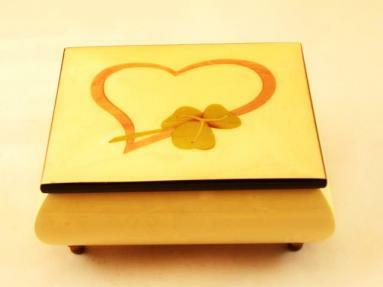 This color is always associated with meanings of love, family, compassion, heat, sensitivity and joy.